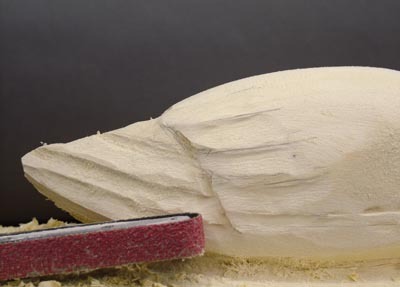 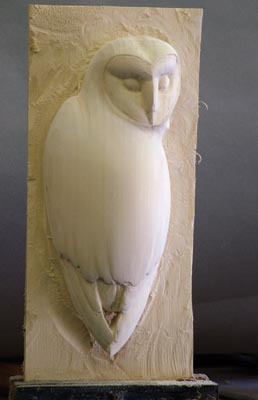 Just recently I had the fortune to see a barn owl returning from a hunting trip, still carrying its prey and this inspired my latest carving, my third sculpture of a barn owl. 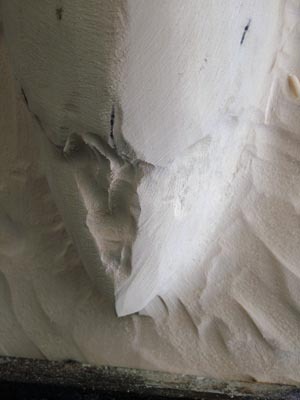 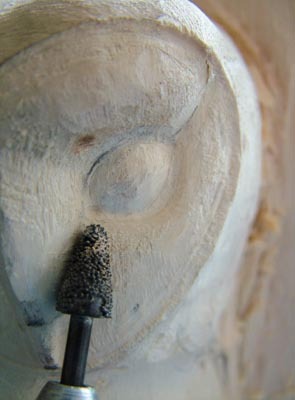 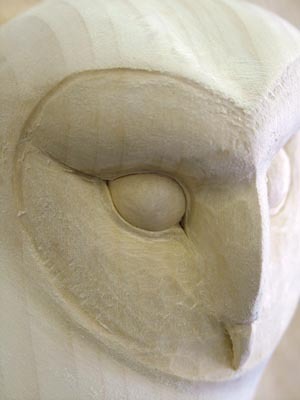 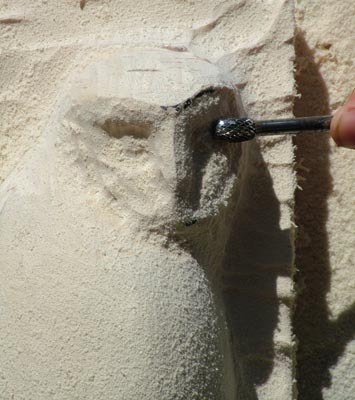 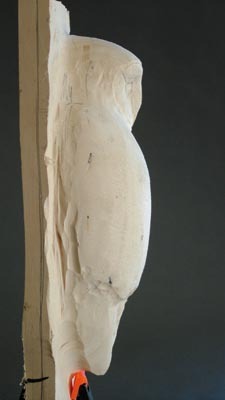 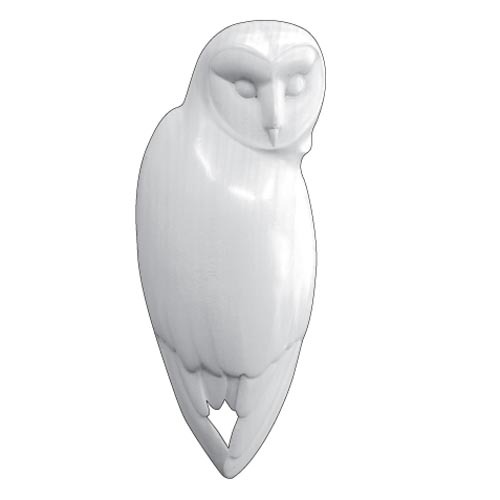 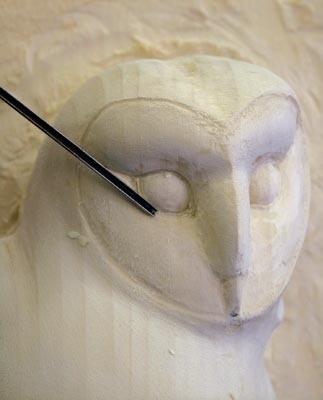 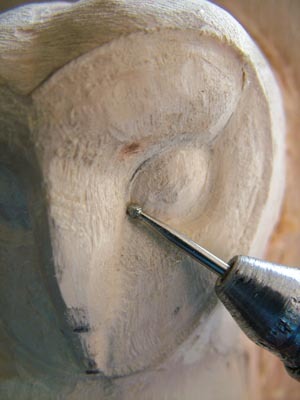 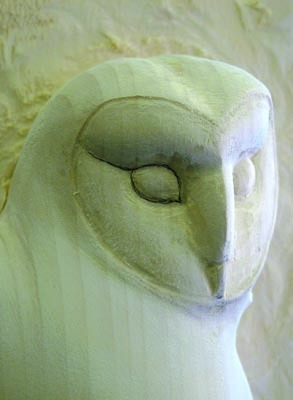 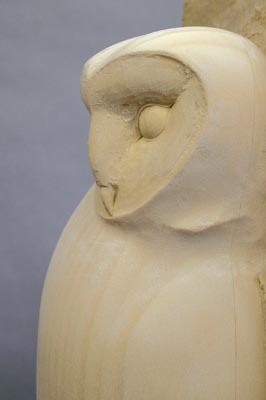 This carving is an adapted version of an earlier sculpture of a barn owl, Nightwatch, that I originally sculpted in clay. 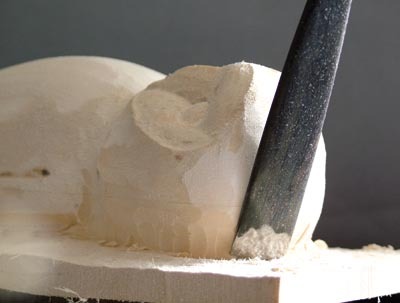 This piece has now been cast as a limited edition bronze. 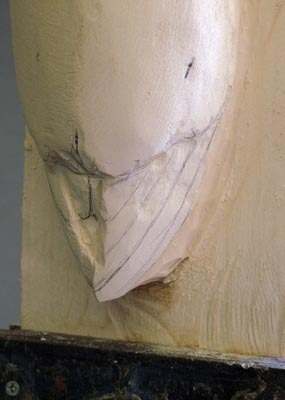 I used the original sculpture as my model, but this time wanted to make a wall hanging piece to keep it in line with my current style. 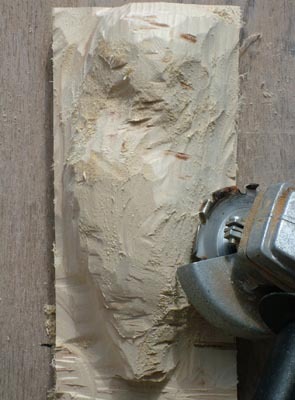 To do this, I have sanded the piece and kept the lines clean. 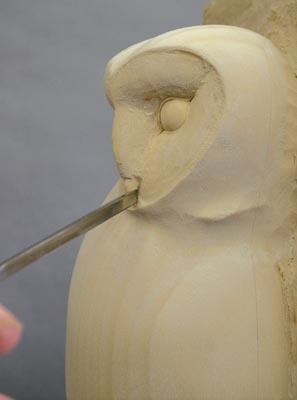 This carving will also be cast in bronze. 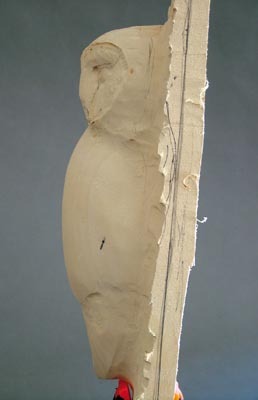 As always, collect good references and model a small replica of the piece. 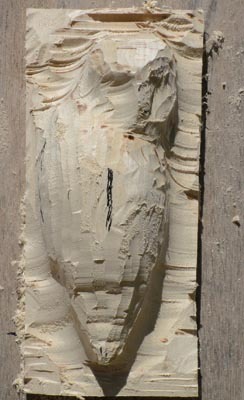 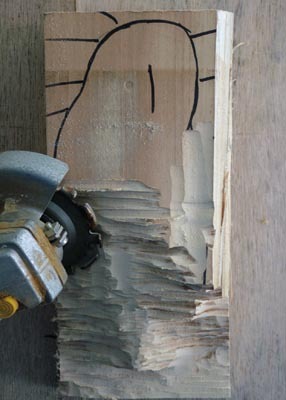 I have used a block of wood that is screwed to the carving, keeping it in place. 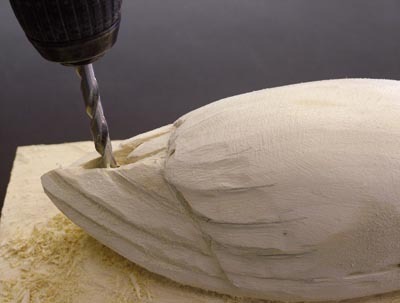 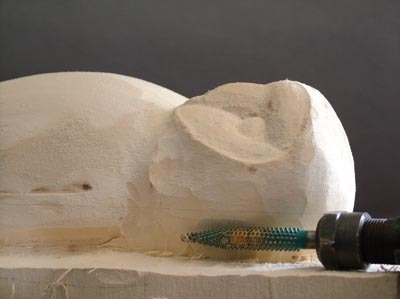 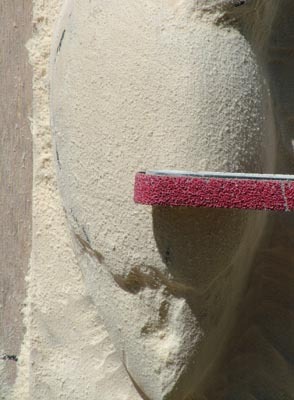 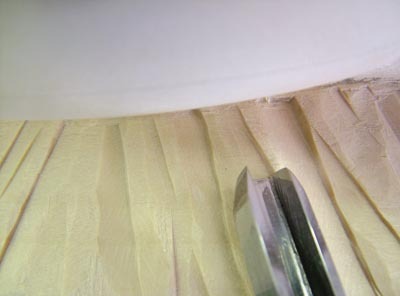 98% of this piece has been carved using power tools, the largest proportion of this has been achieved using the Powerfile, Arbotech and the Sintered Carbide Tools on the flexi drive. 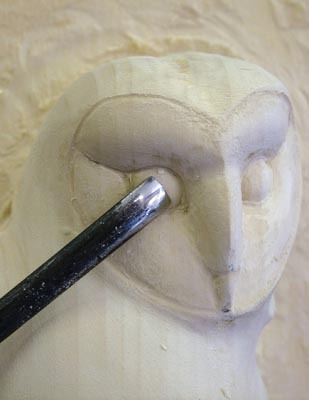 If you would prefer to use hand tools, feel free. 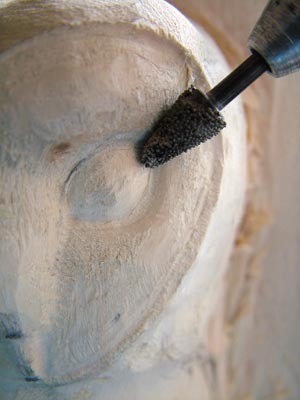 The process is still the same, but replace the burrs with U-shaped gouges. 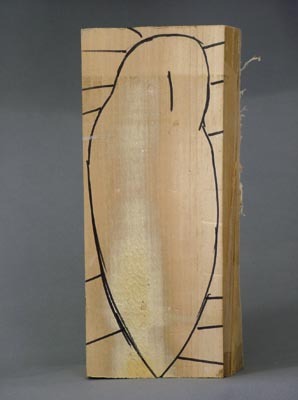 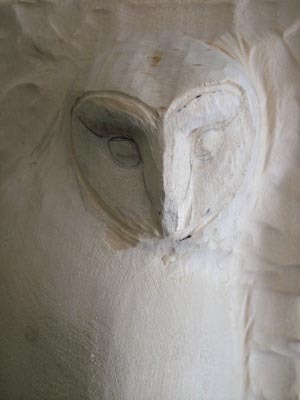 First, work out the movement and proportions of the barn owl in clay. 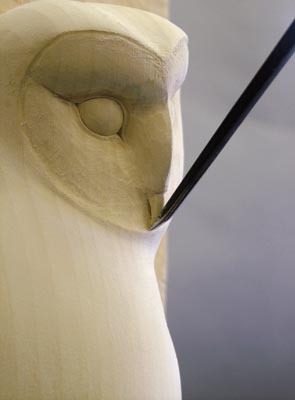 Familiarise yourself with the finer details and form of the bird. 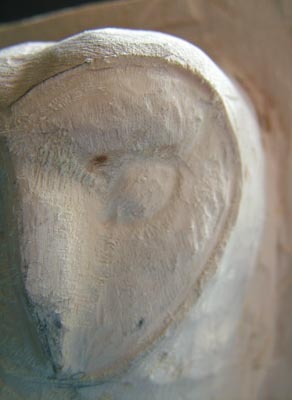 I have used Nightwatch as my model.